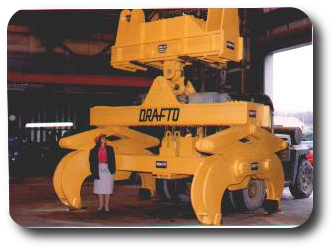 Drafto has been in business supplying overhead material handling equipment for the steel industry since 1942. For 70+ years we have been known as providers of the highest quality, most rugged and dependable equipment, all while keeping pricing very competitive. We offer various designs and pricing based on the required crane service, i.e. 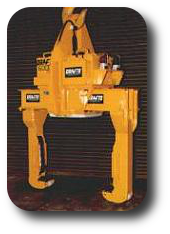 CMAA Class D, E, or F and also AISE heavy steel mill duty designs, including coil grabs, and coil grabs with weighing. Crane weighing systems can optimize yields and reduce handling time. Weighing objects as they are being moved by crane eliminates unecessary operations. Performance and durability are unmatched by other types of scales: objects cannot be dropped onto a crane scale, nor do they collect dirt and debris the way a floor or pit scale can. Single point loading guarantees accuracy and repeatability. Initial cost is usually much less than similar capacity stationary scales. 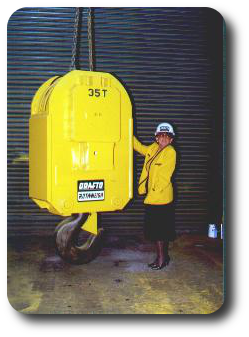 Crane weighing solutions include Weighblock (TM) and Rotaweigh (TM) devices. Coil lifting devices include rack & pinion lifters ("coil grabs"), parallelogram ("scissors type") lifters, vertical ("eye to the sky") lifters and C-Hooks. Coil edge protection features include (patented) rolling belts , sadle trip switches, edge limit switches, ID photo sensors and indicating lights. Lifters are also available with integral weighing systems or may be used with separate Weighblocks or Rotaweighs. 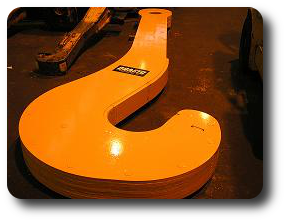 Hook blocks and Rotahook(TM) rotating hook blocks have been proven by unequaled performance in the roughest environments. Rotahooks have pin connected drives, allowing change of motor/drives and hooks without un-reaving the block. Decades of useful service can be expected. 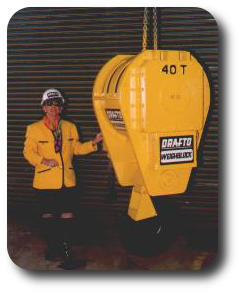 Drafto Corporation designs and manufactures rugged and reliable sheet and plate lifting devices. 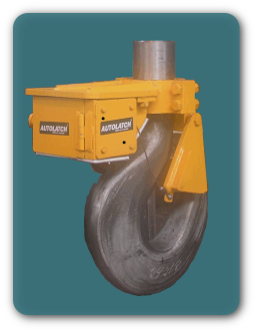 Autolatch (TM, Patent#5636888) devices provide safe, remote actuation of gravity latches. A handheld remote control (garage opener size) opens latch for a programmable (2 seconds to 30 plus seconds) time period before closing latch automatically. Eliminates hooking and unhooking by floor personel. J Hooks and Ladle hangers for hot metal processes. 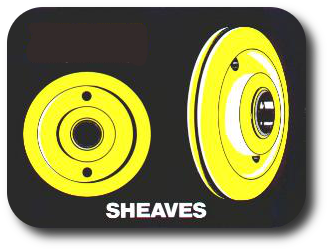 Sheave wheel assemblies are designed to exceed both AISE and CMAA specifications for all types of cranes, including Class F steel mill duty cranes.